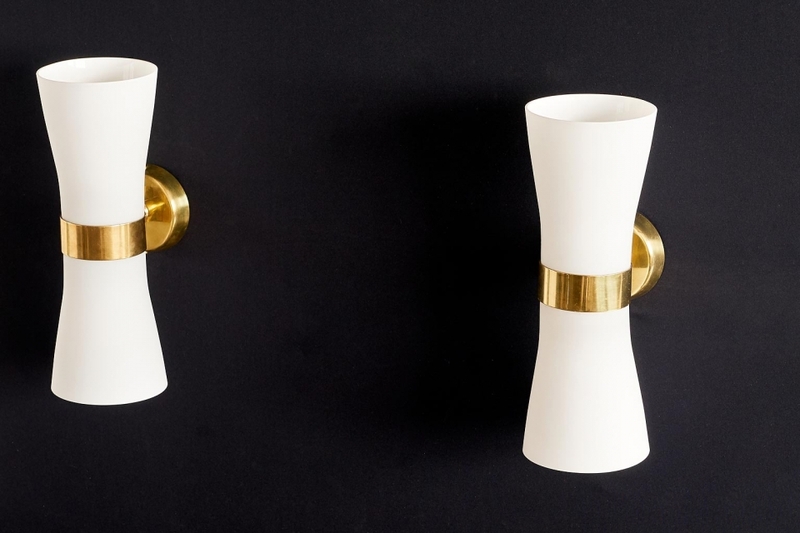 This rare pair of wall lights was designed by Paavo Tynell and produced by Idman in the early 1950s. They were designed for and used at the Governments Railway Station in Helsinki. 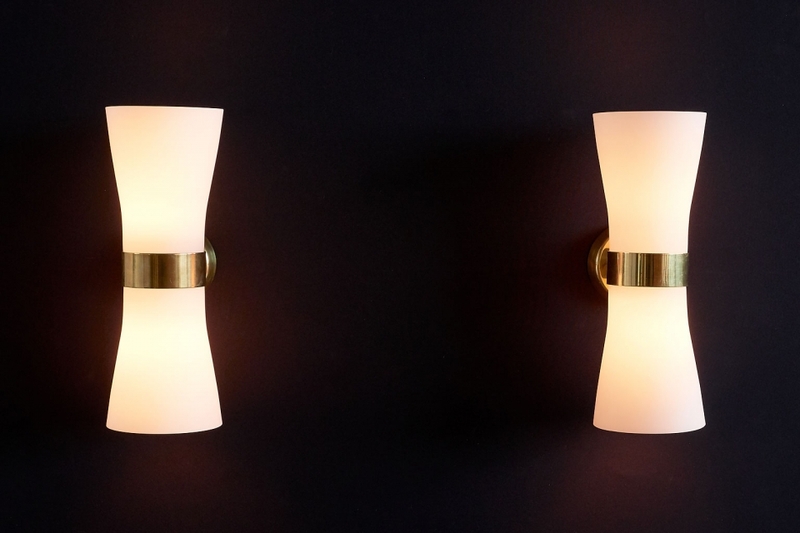 The generously sized opaline glass shades are mounted on a brass wall fixture. The lamps are signed with Idman.